This is me with Brandon Sanderson. He's one of my favorite authors. He mostly writes epic fantasy. His books are awesome. Today I will finish his novel The Way of Kings. It's the one he's holding in the picture. Look at that thing!It's a real door stopper at over 1,000 pages. I have the signed copy on my bookshelf. It's the first in what will be a massively long epic fantasy series called The Stormlight Archive. The next blog post you see on this site will be a review of his book. It will be an interesting review because I both loved and hated this book. Every book I've read by Brandon has been an instant favorite. The Way of Kings, however, was grueling for me to get through. I did not enjoy the first 75% of the book, and at 1,000 plus pages, or 45 1/2 hours of audiobook, that's a lot of book to get through when you're not digging it. It was just plain boring. That said the last quarter of the book has been amazing, riveting, and easily some of the best and coolest stuff I've ever read. I've heard the next book in the series, Words of Radiance, is amazing and doesn't have a bunch of the boring stuff the first book had while it was setting everything up. I realize that this first book had to set up what may be one of the longest biggest fantasy series ever written, but that doesn't mean it had to be boring. My two biggest problems were not caring about the characters until about 3/4 of the way through, and reading scene after scene where nothing is happening. I have had the same problem with The Wheel of Time fantasy series that Brandon finished for late author Robert Jordan. Talking heads scenes where the characters aren't doing anything and you have to really work to get through the chapters. Then you finally get to a chapter where something is happening and it's the coolest stuff you've ever read. That's been this book for me. Many of my friends were never bored by this book and loved every minute of it. More in my upcoming review. Now to finish the book. 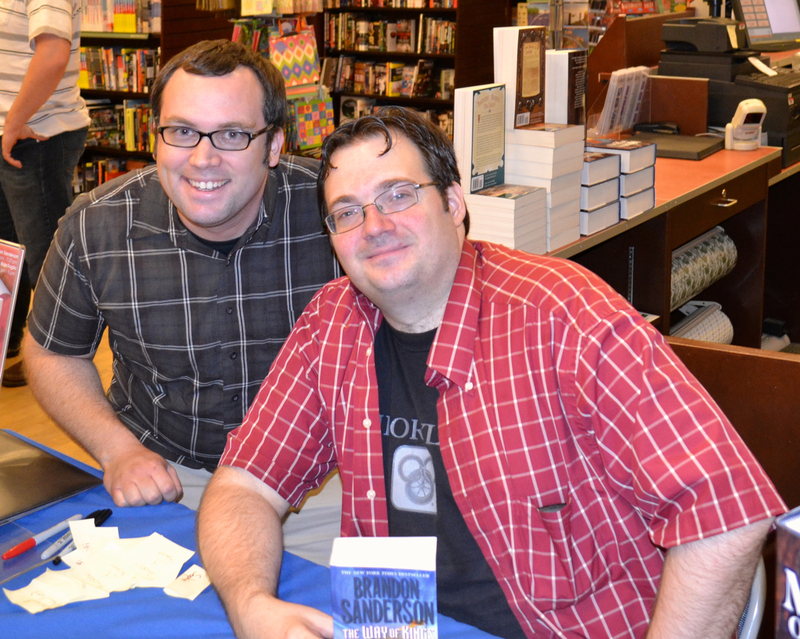 Have you read any of Brandon Sanderson's books? What about The Way of Kings? Did you love it? Did it bore you? Did every page make you yearn for the next one? Leave your thoughts in the comments.Thanks for stopping by! Ghost Mansion | An Audiobook I Narrated & Produced is live! 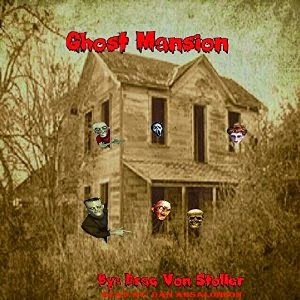 A really fun audiobook called Ghost Mansion I had the pleasure to narrate and produce just went live. Think The Haunted Mansion attraction at Disneyland, but scarier, and you've got the gist of this story. It has a bunch of really fun added sound effects and background music to really enhance the audio story to be a great listen. Grab your nice headphones and go give this a listen. It's very short and very inexpensive so give it a purchase if you like what you hear and support an indie audiobook narrator, me and an indie author Drac Von Stoller. Not only are there cool sound effects and music in the background, as always, but I got to really have fun coming up with different voices for each character in this story. Also think old western shoot em' up story mixed with a ghost story and you've got Grave Robbers! Now available at Audible.com, Amazon.com, and in iTunes! Go have a listen. I know you're going to love it. Why not pick up a copy and support an indie author and narrator. Thanks for stopping by! ...I'm working 2 jobs so I literally have no time to sit down and write. But I do have a lot of commute time. 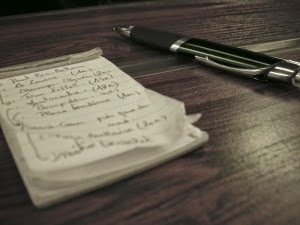 In the past I've gotten a lot of words down by dictating my story and transcribing it later. The dialog comes out great and the transcribed text is kind of a second draft since I revise as I transcribe. It's a method I'm going to use to start writing again. Have any of you used this method? Once you get used to it it's a pretty great way to get the words out super fast. This time around I'm also planning on doing all the transcription using my iPhone's speech to text which works surprisingly well. 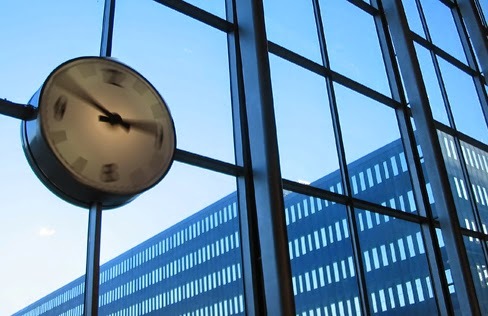 I can spray a huge paragraph onto the screen in seconds. I'm excited to get back deep into that story and get it finished! So I plan on getting the rest of the 10 chapters I wrote read today or very soon so I can start writing again. I'll be blogging about how that process goes. I haven't written this way in a long time, but it's how I wrote most of the first draft of my 80,000 word science fiction novel The Trading Family (also had the working title of Recession.) You can still read the whole thing on Wattpad, and while there's some great writing I'm proud of in there I wouldn't recommend it. That novel needs a lot of work and revision to get the story right. There are currently two chapters in which the players play a poker game. These chapters do not advance the story and stop it in it's tracks. I wonder when I'll set to reworking that novel because I still think it can be saved. Anyways, thanks for stopping by and for my one or two readers who come around here - sorry I haven't posted much lately. There may be more Book Memories guest post in the future but I'm not sure. That's been a fun series. Later!